Beautiful sleeveless lace bodice. 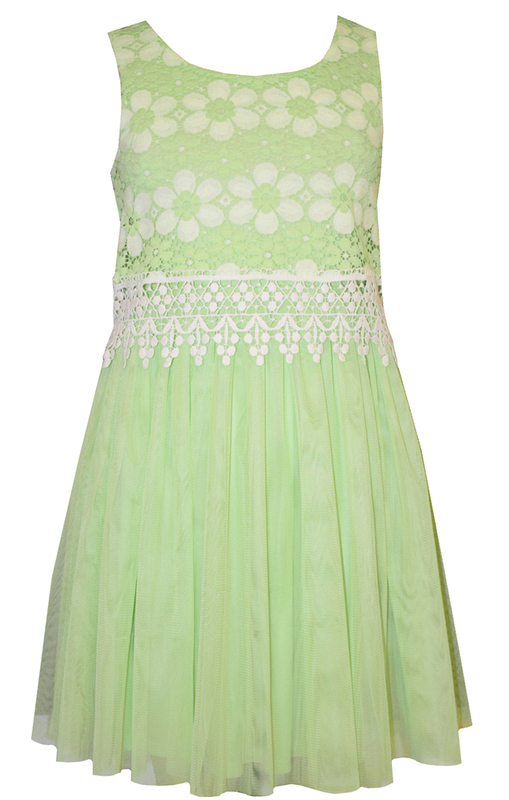 Lime dress tulle overlay. Perfect for any special occasion!